Prayer is a key element of walking in faith with Christ. Prayer is our most direct and most accessible connection to God. While in the older days before Christ’s life, death, and resurrection speaking to God was a right reserved for the Priests on certain occasions and in certain manners. As followers of Christ we have the benefit that they did not of an open line of communication directly between us and God. We don’t need to have been born in a certain line of succession, and we don’t need to worry about using a middle man, such as a priest, to communicate what we want to say to the Lord. Today we will be discussing two different types of prayer, personal and group. Personal prayer is what one does when praying alone. Perhaps it’s in a bedroom before turning in for the evening, perhaps it’s done in the car ride to work, or alone in a waiting room. Regardless, personal prayer occurs when a person chooses to pray alone, making it solely a conversation between them and God. Personal prayer is important in everyday life, whether one is blessing their food or prayer for God to make serious changes in their life. The blessings of personal prayer are also immense. Personal Prayer gives us the opportunity to seek God’s help with our struggles in a personal manner. We are blessed to live in a day and age where forgiveness is not bought with the blood of an animal sacrifice, but has already been paid for through the blood of Jesus Christ. Because His blood has already paid the unpayable debt left by our sins, we need to ask for Jesus’ help on a daily basis. While prayer for forgiveness is a blessing of personal prayer, there are several other benefits of it as well. For instance, prayer can be utilized to seek advice or guidance on a personal matter that has proven challenging for us to handle on our own. Perhaps a person is deciding between two jobs in different cities, and wants input on where God is truly calling their life. Through prayer we can bring these questions directly to God; and because we are blessed with the benefit of having received the Holy Spirit into our hearts and in having a connection through the Holy Spirit, he will answer us. Sometimes this answer comes in the form of scripture, sometimes it comes in the form of a feeling, and sometimes it comes in the form of a fellow believer providing guidance and insight that God has placed on their hearts. Whatever form it takes, and it may often take many different forms for different people. Prayer provides communication between us and God. Prayer can bring us many blessings because of this direct connection between an individual and God. Prayer can bring discernment, strength, wisdom, healing, peace, forgiveness and the list goes on. The blessings of group prayer is similar, but the process of it changes slightly. When one person prays alone, it is a direct and personal communication between an individual and God. When the prayer becomes corporate, some of that intimacy may be lost, but there is also much to be gained. We know from Matthew 18:20 that “For where two or three gather together as my followers, [a] I am there among them.” So, it stands to be reference that if two or more are gathered in prayer, then the presence of Jesus dwells there as well. This exemplifies the power that is present in group prayer that may not be as accessible when praying as individuals. And much like individual prayer, corporate prayer can be used in many situations. Maybe it is something as simple as praying for food before a Church potluck, but it could also be something vastly larger in scale. Perhaps it’s a group of people praying for the healing of a terminal family member, or a Church body praying before it sends one of its members on a mission trip. Whatever the situation, blessings that are present in personal prayer are also present in group prayer, often in a much more noticeable sense. Above are three examples from the New Testament ascribing the need for and the power of prayer. The verse from Ephesians focuses on the need to be persistent and committed in our prayers. It is important to continually seek the Lord through prayer. The verse from Luke highlights the importance of that continuity and the blessings that come forward because of that dedication. While there may be doors in front of us that block our paths, we must remember to keep praying, to keep asking, and to keep knocking. God sees and hears this dedication and this desire to seek him, and the doors cannot remain closed against His will. Finally, in Philippians, we see the reassurance of prayer. When we are in close communication with Him, through personal or corporate prayer, we don’t need to worry. Instead, we just have to tell Him what we need, and thank Him for all that He has already provided. The blessings of prayer don’t end there, and neither does the need for it. God has given us a direct line to Him, it doesn’t do us well to ignore it. Instead, take the time and reach out to Him and listen for His answers. We at Pentecostal Life Church would like to invite you to be apart of our group prayer and worship. It will have a positive impact on your personal prayers and worship. 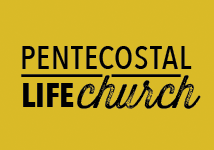 Pentecostal Life Church is a Spirit filled Apostolic Pentecostal Church in a suburb of San Antonio Texas. Service times are Sunday 10:30 am & Thursday 7pm. Please pray that i receive deliverance from nightmares, hearing evil voices at night, constant spiritual attacks (it feels like being strangled by invisible beings half the night), & waking up after only a few hours sleep every night. (Someone nearby may be involved in New Age/Occult practices) I’m also now hearing tapping on the windows that keep me awake and other strange noises in the house around midnight. This has been going on for a couple weeks straight now and I ended up getting ill as result. Also, I truly need to be able to sleep straight through the night to function at work. Thank you. My ministry , Gospel work Divine blessing, extension, Divine protection. My Sick problem CARCINOMA TONGUE, CANCER. Divine healing, protection. Head, Heart, pain. [Soul, Mind, Body Divine health, Good eye sight , Divine protection. Please urgent your prayer support’s . 4. My [soul, mind, body fire anointing, good eye sight, Divine blessing, Divine protection] Finance problem 5 lakes Debit God’s open new door , new ways. 6. My job postal Hounourable postal minister 1. 1. 2016 increased salary, Arrears taken action, Higher officers immediately. My post office extension, Divine blessing, Divine protection. 7. Seniority 36 thirty six years [ 3 time financial up gradation , Annual increase , Benefits & all facilities immediately. 8. My family house extension, maintenance , prayer room building works Divine blessing, Divine protection. 9. My family property ValiyaVilai, ThrumbuVilai, Valiyavilai Divine blessing, Divine protection, Divine prosperity. 10. GRACE PRAYER TEAM , God’s divine blessing, Divine protection, Extension. 11. God’s Touch heart Arnachlam, Antony ammal, fire anointing. 12. God’s answer for the prayer request which was longing.